Practically every child grew up idolising the various muscled and caped crusaders they read about in comics. But as we all know by now, every great superhero is incomplete without the perfect enemy. Although they cause mass destruction and anarchy, a supervillain can be the most interesting part of a superhero story, often making it iconic. The world of comics has given us some of the best and most complex characters – both good and bad. Here we take a look at some of the most powerful and brilliantly created supervillains that have left a mark on readers everywhere. Batman’s number one nemesis, the Joker has plagued the troubled vigilante for as long as we can remember. Considered by many to be the best supervillain of all time, Joker proves himself to be the most dangerous and volatile enemy the Dark Knight has ever faced. The reason Joker has proven to be a major threat is because of his manic style; he tests the Caped Crusader’s mind and sanity, toying with him on numerous occasions and almost driving Batman mad. 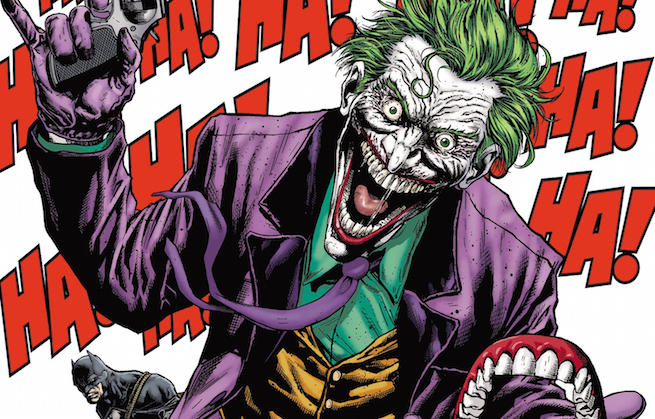 Joker is known for his crazy antics and his wide Cheshire smile, which is caused by the scars on the sides of his mouth. When asked how he got those scars, he presents the listener with a new story each time. His distinct appearances is the result of him falling into a vat of chemicals which bleached his skin, caused his hair to turn green and lips to turn red. Although he is highly intelligent, the most interesting aspect of Joker is his ambiguity. The trickster is best described by Batman’s butler Alfred as someone who “just wants to watch the world burn,” as he has no ulterior motives to his acts of terrorism on Gotham City. He is a self-described agent of chaos trying to implement his manic justice, however twisted his means may be. This alone makes him extremely interesting. Add to all this his surprisingly amazing hand-to-hand combat skills and an unhealthy obsession with playing cat-and-mouse with the Dark Knight, and you have yourself the Clown Prince of Crime. The Mad Titan Thanos is truly terrifying. If it isn’t his intimidating appearance that does the trick, then it’s his immense power that makes him a real menace. Thanos’ main quest is travelling across the universe in search of the six Infinity Stones – Space, Mind, Reality, Power, Time, and Soul – in order to utilise them for his own means. 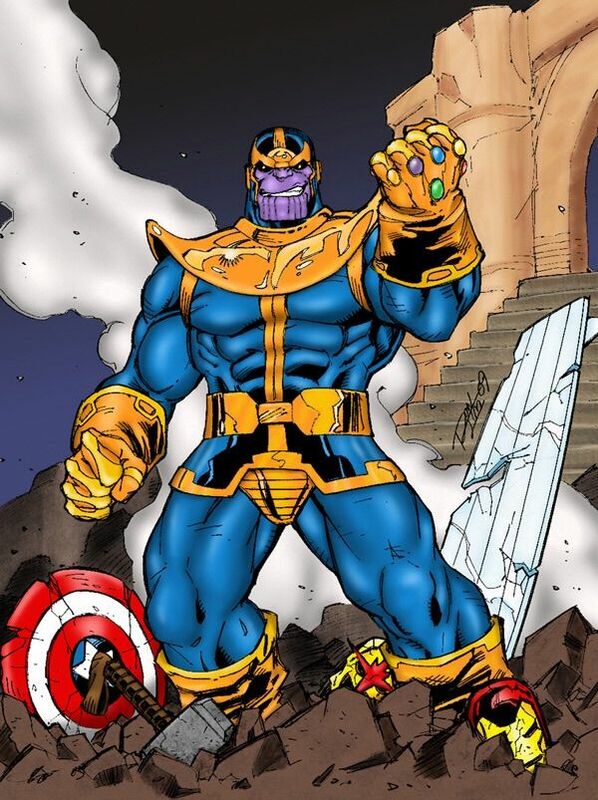 The Mad Titan’s thirst for power is his most prominent attribute, and the Eternal gene mixed into his blood makes him extremely powerful and unique, even amongst his own kind. Intelligent and strong, not much can stop this Mad Titan in his pursuit of the stones. Although forbidden on planet Titan, Thanos is well versed in the Black Arts thanks to the guidance of Mistress Death. She taught him that knowledge is power and power is everything..
Thanos is infamous for travelling from planet to planet, committing mass genocide and destroying all the lifeforms that reside there. He is aware of how awful his actions are, but he believes that no one else is strong enough to achieve what is necessary: to avoid extinction. His theory is that too many mouths to feed means not enough resources. So by eliminating life, there will be sufficient resources to go around for the remaining superior beings. Although a little insane, this Titan is not easy to hold back, and with all of his physical power, he is unstoppable. Even Hulk was unable to take down this Mad Titan! Even in a world of assassins and mercenaries, Deathstroke is a name that strikes fear. A man of his word, Deathstroke’s reputation precedes him. It all started when Deathstroke, originally Slade Wilson, was recruited in the special ops unit, Team 7. He took part in extremely dangerous classified missions, training to be the absolute perfect soldier. Eventually he underwent an experimental procedure which blessed him with enhanced speed, intelligence, and strength. After Team 7 disbanded, a bitter Slade started utilising his unnatural abilities as a mercenary-for-hire, swiftly gaining a name as a top criminal. He established his position as the guy who will always get the job done, regardless of his prey. Deathstroke is extremely intelligent with the ability to utilise up to 90% of his brain capacity, all of which makes him a master tactician and strategist. His will to push himself and hunt for bigger assignments, against some of the most gifted fighters of the DC universe, has helped him carve his name in the Supervillain Hall of Fame. His ruthlessness stems from his dedication to getting the job done, completely focusing on the task at hand regardless of how manipulative or lethal he must be. His choice of paraphernalia you ask? His favourites happen to be his broadswords – owing to the fact that he is a master swordsman – and automatic pistols. 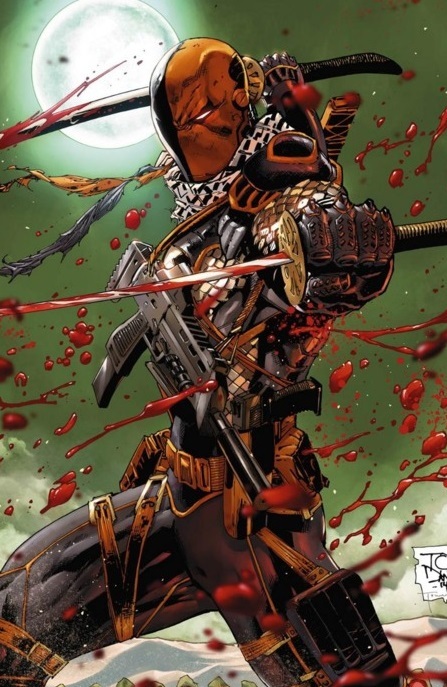 Nicknamed ‘The World’s Greatest Assassin’, Deathstroke is one of the most feared people on the planet. The Norse god of mischief, adopted brother and arch nemesis of Thor, Olympian god who was exiled to the Underworld, is an impressive introduction to any supervillain. Loki is a complex character with a troubled history. Adopted and raised as his own son by Odin, Loki was the son of the fallen Frost Giant king, Laufey. 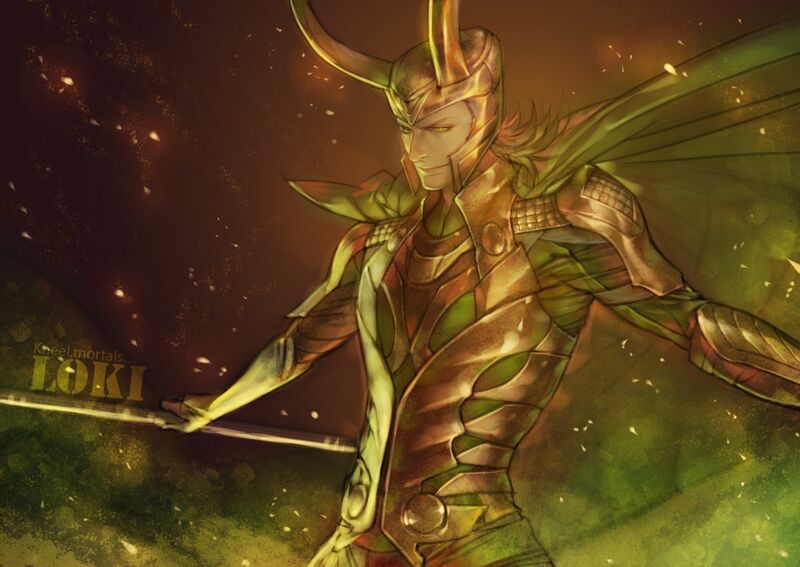 As a child, Loki grew up resenting his brother’s advantage in strength, tenacity, and bravery. What he lacked in size and strength, however, he made up for in power and skill. Over the centuries, Loki sharpened his skills as a sorcerer, and gradually grew from a playfully mischievous trickster to a malicious and vengeful personality. Following multiple attempts to seize the Asgardian throne and get rid of Thor, Loki’s crimes caused him to be exiled. During this time, Loki travelled through the galaxies, making frequent trips to Earth, and forming alliances with other evil characters that he used repeatedly in efforts to rule Asgard and destroy Thor. Despite all this, Loki does in fact have a form of attachment to his brother, father, and Asgard. As a member of the race of Frost Giants, Loki has the physical attributes to fit one. Super-strength, stamina, speed, and immunity to diseases, magic, and slowed ageing are some of his superhuman abilities. He also has the ability to withstand high-calibre bullets without harm. In addition, the super intelligent Loki has trained himself in magic and developed the abilities of flight, hypnosis, illusion casting, teleportation, and the ability to manipulate magical forces, cause energy projection, and create force-fields. Thus, effectively making him one of the most powerful antiheroes of the Marvel Universe. A powerful mutant with the ability to generate and control magnetic fields, Magneto believes that mutants are evolutionarily superior to humans. Born as Max Eisenhardt, he was the son of a decorated World War II veteran. His German-Jewish family was executed and buried during the German invasion of Poland, while Max was sent to Auschwitz. After escaping the concentration camp, Max changed his name to Magnus and had a daughter with his wife, Magda. Magnus’ house was later burned down while his daughter was still inside; the anguish of this experience caused his mutant abilities to first manifest when he destroyed part of the city in an outburst. This incident caused Magda to leave him, later giving birth to the mutant twins, Pietro and Wanda. Magnus adopted the alias Erik Lehnsherr, and moved to Israel where he met Charles Xavier. The two constantly debated the consequences that humanity would face with the rise of the mutants. Essentially, Magneto was just a man who was wronged several times, and whose views were only a reaction to the racists and bigots who constantly discriminated against mutants. What began as an amicable attempt to protect and defend mutants, eventually grew into a warped worldview where he stopped believing in the necessity of peaceful human-mutant coexistence. Magneto is a uniquely powerful mutant whose abilities include control over magnetism and manipulation of metals. He is known to have moved asteroids and levitated a nuclear submarine. 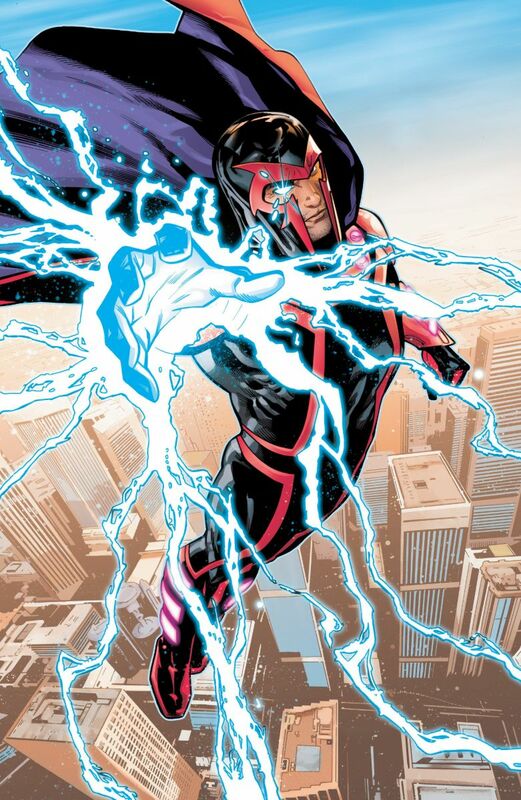 His powers extend to the atomic level, allowing him to manipulate chemical structures and rearrange matter. Apart from this, the Omega level mutant has also displayed the ability to project force fields strong enough to withstand matter and energy, alter the behaviour of gravitational fields, produce a wormhole, and resist strong telepathic attacks. As a result, he is virtually invulnerable. June Moone was just another freelance artist when she encountered a magical entity called Dzamor, that attached itself to her, giving rise to June’s alter ego, the Enchantress. 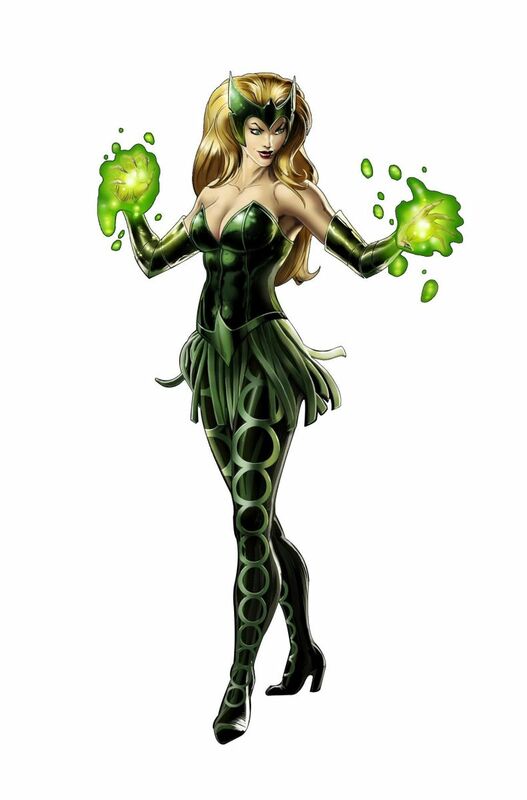 The unassuming blonde, June would transform into the menacing costumed Enchantress with extremely powerful magical abilities. Dzamor was in fact the sister of the Incubus, the ruler of the Nightshade dimension who merged herself with June Moon to carry out her plans to open a gateway to Hell to resurrect the sorcerer, Hermes Trismegestus. June Moone was a recurring member of the Suicide Squad, but largely took on the role of an anti-hero because of her lack of ability to completely control the Enchantress. Once unleashed, the Enchantress possessed the abilities of teleportation, walking through walls, and channeling the powers of other magical beings, to find almost every magical creature in the DC Universe because of the Herne-Ramsgate Cauldron. At the height of her power, when separated from June Moone, the Enchantress was able to manifest randomly across the planet in different guises and produce multiple June Moones, which she used to create a colossal monster in order to attack the Justice League. Intent on causing pain, havoc and chaos on the planet, the Enchantress’ diabolical character, paired with her legendary magical powers and abilities make her a force to reckon with for all the superheroes of the DC universe.